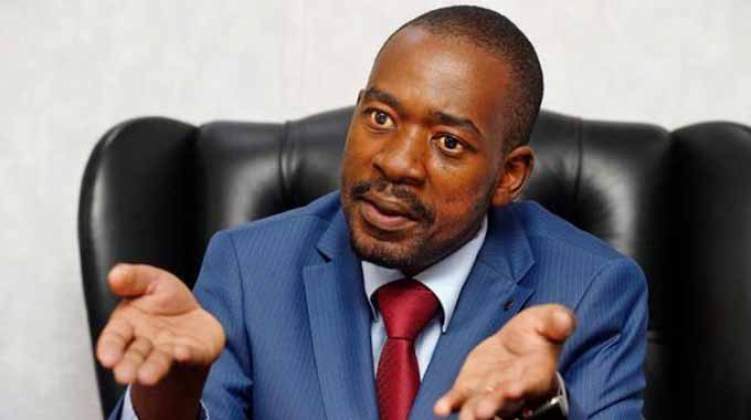 MDC Alliance leader, Advocate Nelson Chamisa's so called diplomatic offensive has raised stink following reports that his claims that he was going to meet the African Union (AU) and SADC chairpersons flopped. Chamisa's diplomatic offensive was much publicised but the opposition leader has since sneaked back into the country with his information department mum on the outcome of the mission. Chamisa, described by former MDC senator, Eddie Cross as 'nervous of the MDC congress,' is also reported to have been spotted at some renowned Ghanaian traditional godfather, Hotspot, seeking magical powers ahead of his party's congress set for this May. Widening cracks within the MDC Alliance have seen social media chats rattling, with some MDC internal forces angry about Morgan Komichi utterances that Chamisa is uncontested, while others contending that Chamisa's immaturity will cost his prospects of retaining opposition party presidency come May. The MDC Alliance leader is also under the spotlight following revelations that the party's internal structures are not happy about his alleged move to work in cahoots with the G40 leadership to mobilise funding to boost his campaign ahead of the congress where he faces acid test from his Secretary General, Douglas Mwonzora.